What if you could achieve glowing skin in just six weeks? Sounds unbelievable, but it's true! 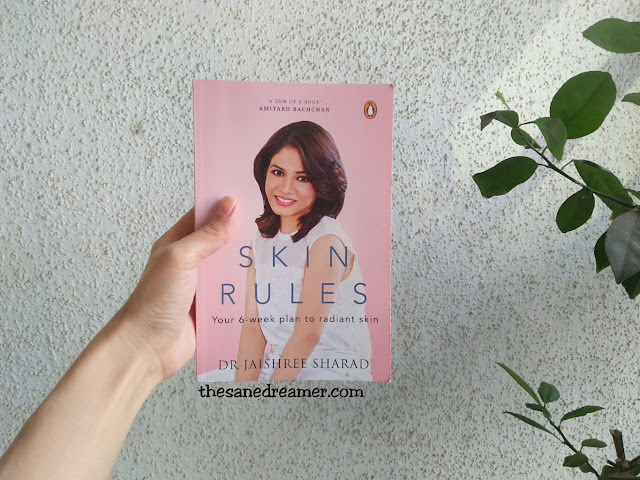 In Skin Rules, Dr. Jaishree Sharad, one of India's top cosmetic dermatologists, gives you a revolutionary six-week plan to healthy, blemish-free skin. From the basics-identifying your skin type, acquainting yourself with the fine print on labels-to home remedies, choosing the right make-up and the latest advancements in skincare treatments, this book has the answers to all your skin woes. You'd be amazed at what a short, six-week routine can do for your skin. So, what are you waiting for? Would you believe if you were told that you can get blemish free skin in 6 weeks? I mean, if it is coming from one of India’s top cosmetic dermatologist. Well, to some, this may seem like an impossible task, while for few, this sounds like music to the ears and they would definitely love to put their heart and soul in following all the beauty ritual from the book: Skin Rules- by one of the best skin specialists Dr. Jasihree Sharad. Because, when one of India’s top cosmetic dermatologist gives you a book with a revolutionary six-week plan to a healthy, blemish-free skin, you know what to expect. Skin Rules is unlike any beauty ritual books, it does guide you with the do's and the don'ts. But, specifically it gives you the answer to some of the most frequently asked questions i.e. beauty rituals/myths and cosmetically related answers. Like, why applying sunscreen is important, or which toner to apply? Which moisturiser is the best for your skin type? How and why to hydrate your skin, what is the best skin treatment, when is the right time to visit the dermatology? and so on. Being a huge skin conscious, I made sure that I followed the guide religiously and started taking proper care of my skin. With a 9/5 job in hand, I can't always make an appointment with my dermatologist, so this book is rather helpful in giving me quicker skin care solutions in 6 weeks time. I won't be shedding too much light about the content of the book, you can find more answers to your skin woes by grabbing a copy today. In the meantime, read my take on the book. As I have mentioned above, I am obsessed with keeping my skin healthy and happy, so when I started off with the read, I couldn’t put it down. The book decodes some of the myths and answer queries which one should know in order to keep your skin free from blemish, taking care of minor to major skin problems, and how to keep your skin radiant and hydrated with the right beauty products. The book is clear and filled with informative guides on how one can take care of the skin regularly, which is one of the most important organs. Also, I loved the way the author wrote the book based on a real-life encounter with someone (Micky) who wanted a radiant skin in 6 weeks, that too with proven result. 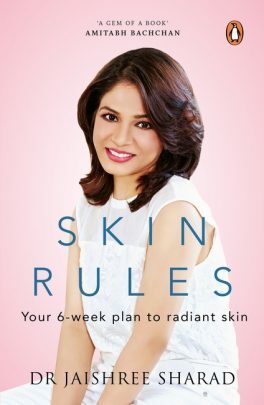 Starting from Week 1 to 6, the book offers a revolutionary plan of knowing your skin, myth about skin problems, the importance of exfoliation, eating the right food, lifestyle change, and concluding the final week with a visit to a dermatologist and taking the right skin treatment which includes making use of the latest advancements in skin technology. 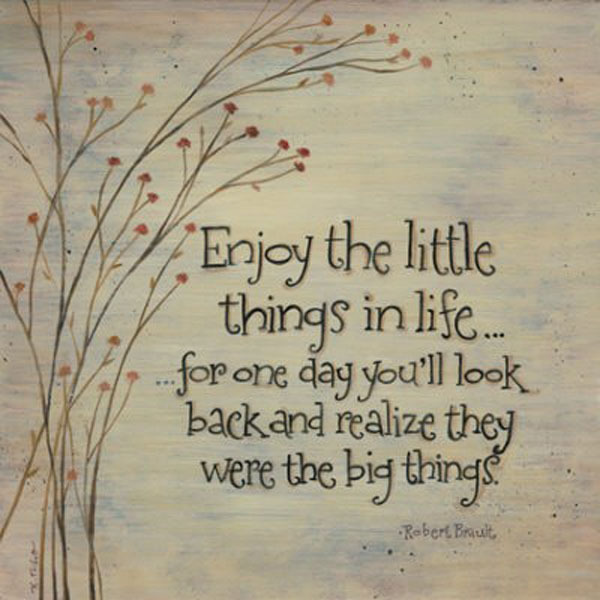 I started following the rituals on weekly basis, and I could see the changes that were coming my way. Hopefully, it should be a positive one after the end of the 6 whole weeks (just like Micky). I finished reading the book in 3 single sitting, but it took me longer to write the review because I wanted to see the proven result on my skin and then write about the whole experience. Not to give false hopes to anyone, but if you do follow the guide as per the instructions, then you will definitely see a change in your skin. As I said, my busy schedule does not allow me to have a regular appointment with my skin doctor, but with this book in hand, I could find the answers to my skin woes and I am slowly working my way to get a radiant skin in 6 weeks. This is my 3rd week following the guide, hopefully by the end of the 6th, I will be happily flaunting my blemish free skin. This book should be on the shelf of every skin care conscious. It is helpful and straight from the author’s clinical desk. Allow your skin to rule! Yep... Do surely check it!